Michel Chapoutier, owner and winemaker of M. Chapoutier, one of the Rhone Valley's most esteemed estates, founded Domain Tournon in 2007. The 123 acre estate is located in the Victorian Pyrenees and Heathcote region of Australia. The Shays Flat Vineyard, situated on an east facing ridge in the southern Pyrenees foothills, is planted on red soils of schist and quartz soils and Lady’s Lane is planted on gentle slopes of well draining deep red-brown gravely earth over basalt bedrock. The estate vineyards are farmed using biodynamics and the Shiraz is hand-picked and destemmed prior to fermentation. The cool weather allows Michel to craft distinctive red and white wines. 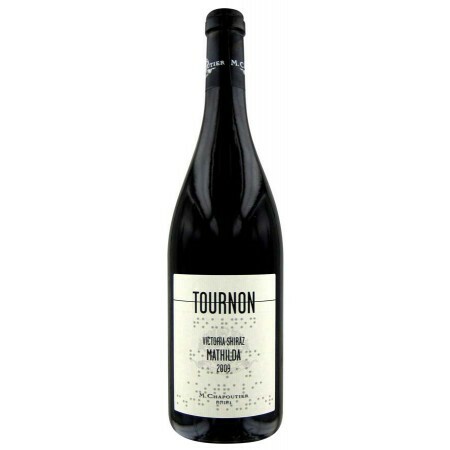 Michel named Tournon after the town in the Rhone Valley. As in France and now in Australia, Michel is producing wines of elegance and balance.